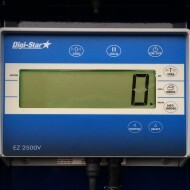 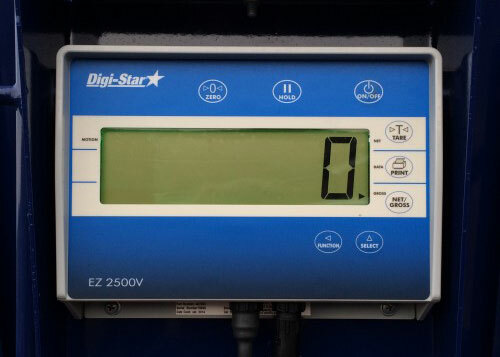 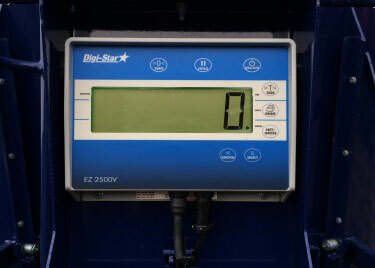 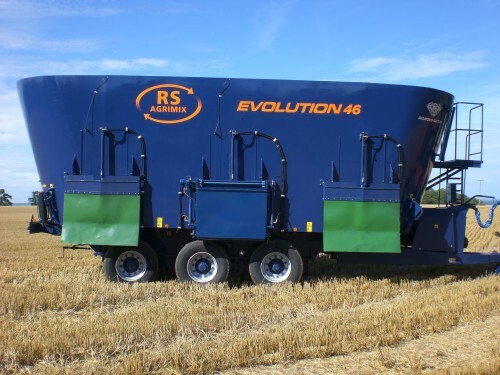 “We saw an initial rise in milk production when changing from a barrel type mixer to the RS Agrimix, we can only put this down to the ration being mixed more thoroughly, it is especially noticeable in the dry cow ration, we can now process this much more accurately and stop selective eating. 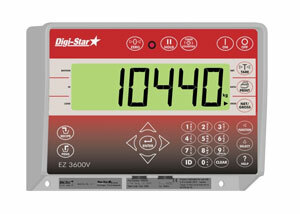 Or scroll down for a complete breakdown of the standard specifications and options. 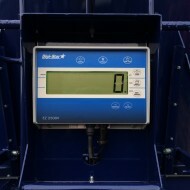 Download a printable version of specifications and options. 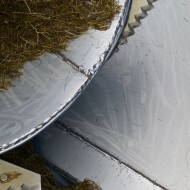 For today’s higher fibre rations, a straw ring holds light material inside the tub. 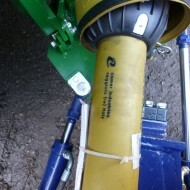 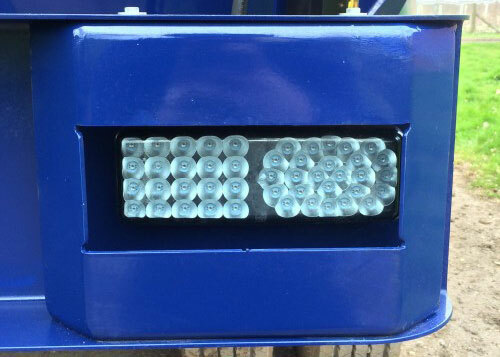 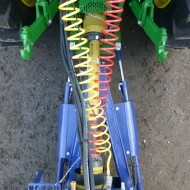 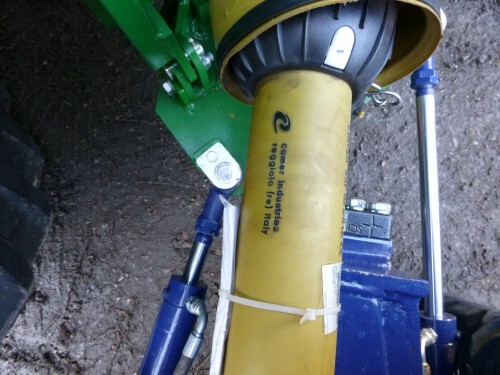 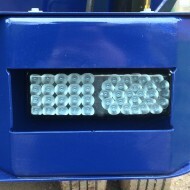 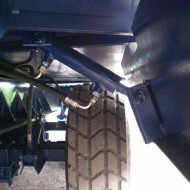 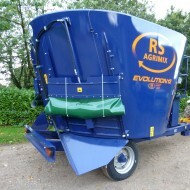 Full width and optimum height augers are fitted into the Agrimix. 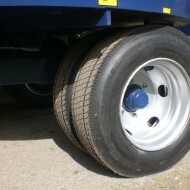 The choice of wheels depends on the amount of road work and the load carried. 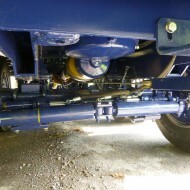 ALL axles fitted are BRAKED axles. 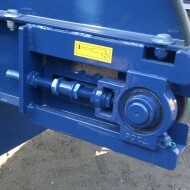 Smooth start up for conveyor system and easy belt adjustments. 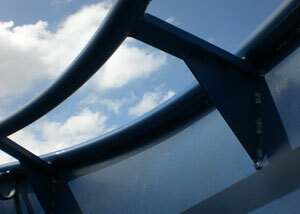 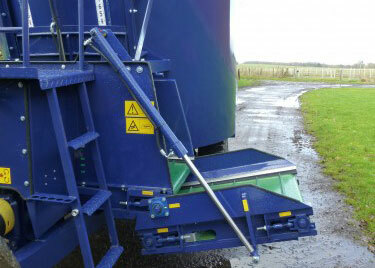 A 2.35m wide conveyor featuring external greaseable bearings. 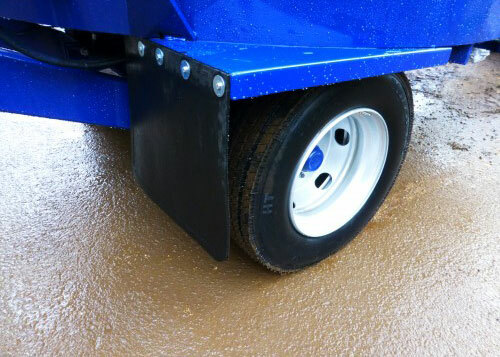 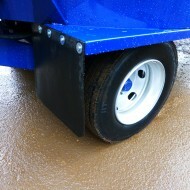 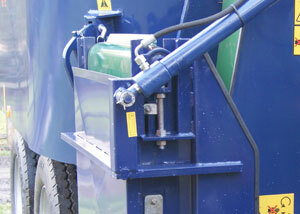 All mixers have braked axles, LED lights and a swivel ring hitch. 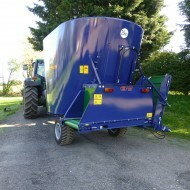 A 1.1m door: wide enough to cope with today’s longer fibre mixes. 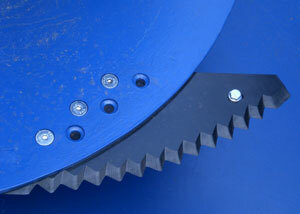 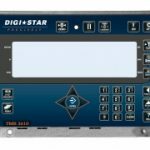 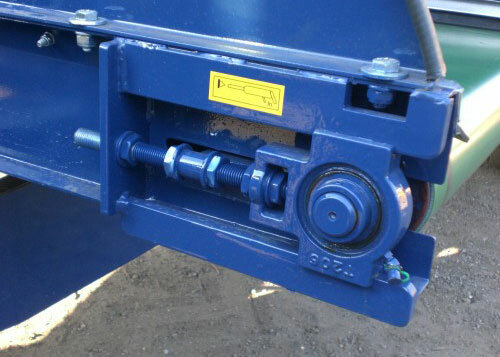 All machines have a two-speed gearbox fitted as standard, which is operated electrically. 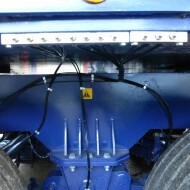 An inspection platform is fitted on all mixers. 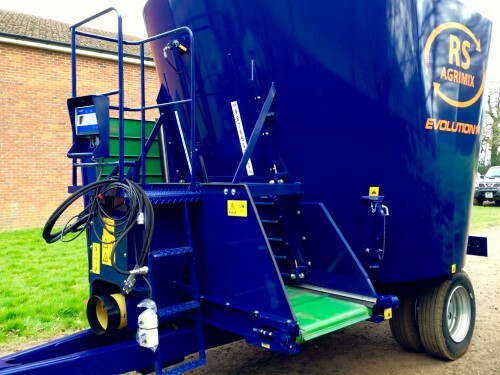 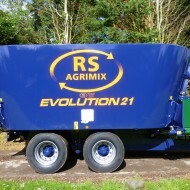 Built upon years of experience in agricultural engineering and marketing diet mixers, RS Agri Ltd believes that the RS Agrimix brand of mixers offers a total solution of feeding for the UK farmer. 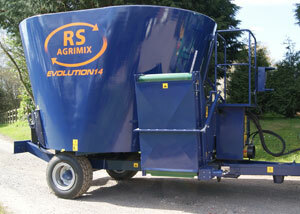 RS Agri Ltd has taken on board the comments and observations of UK farmers; those experienced in using diet mixers. 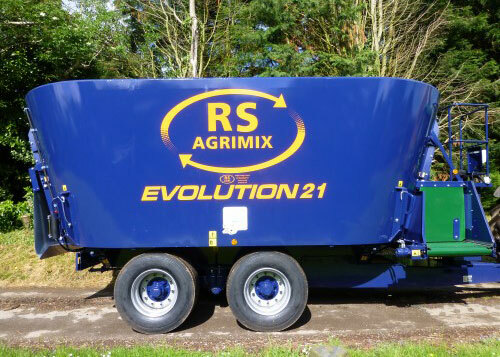 This has enabled the RS Agrimix to offer the best in terms of mixing all ingredients in the most varied of on farm situations. 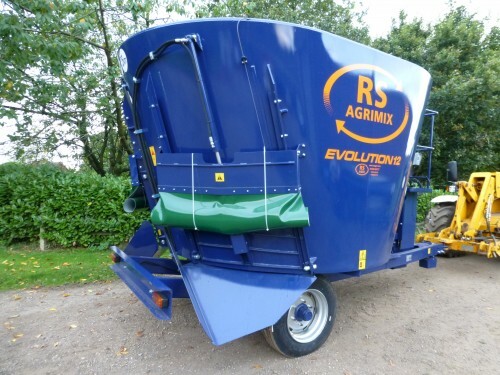 Designed in the UK, we believe the RS Agrimix represents the evolution of diet mixing and hence these vertical mixers are known as the Evolution models. 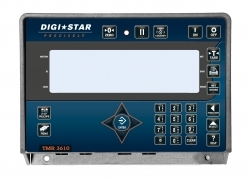 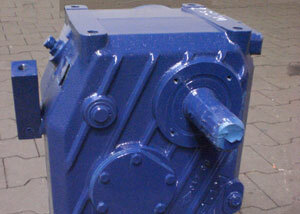 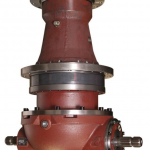 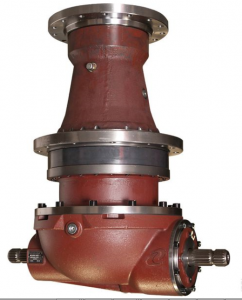 Each mixer is specified and built to suit individual customer requirements. 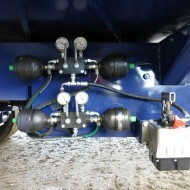 Power steering or positive steering is an option particularly of benefit on larger mixers. 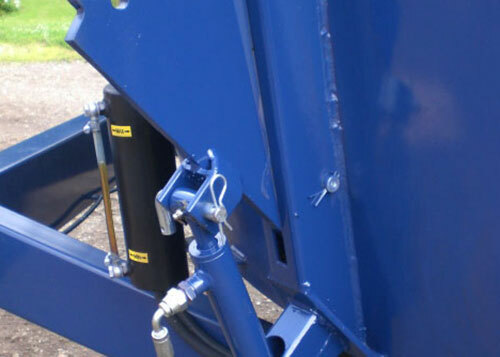 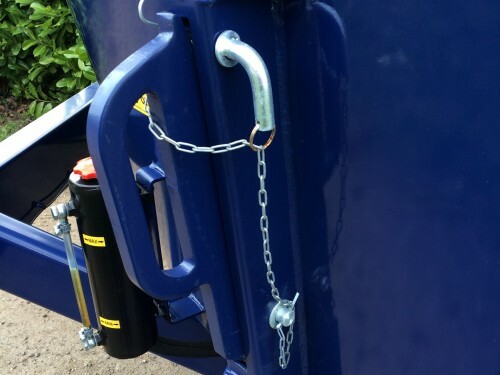 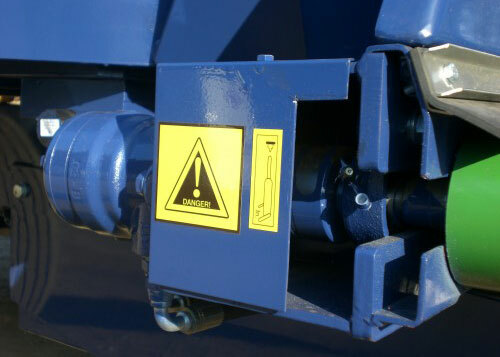 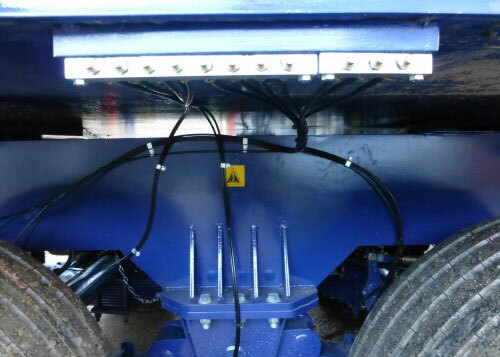 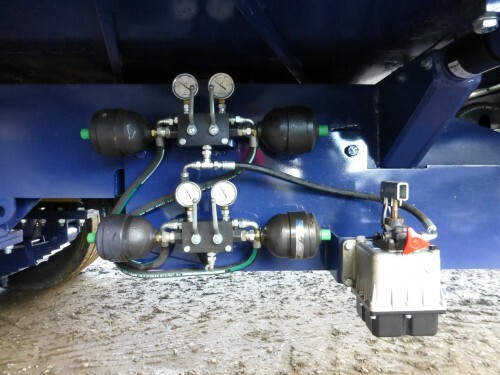 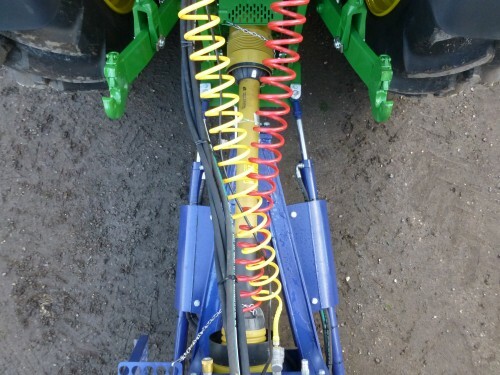 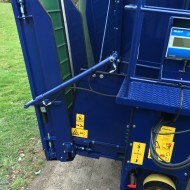 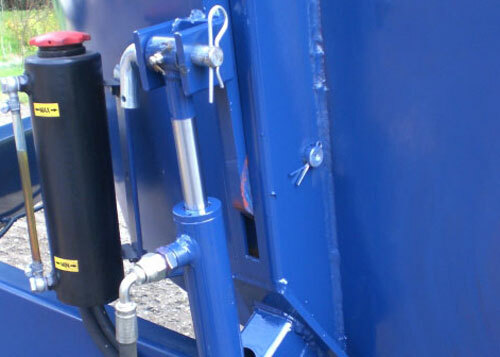 As part of the kit, the mixer is fitted with two hydraulic rams either side of the drawbar. 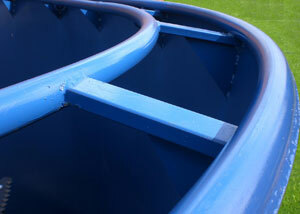 Turning circles and ease of use both forwards and in reverse are dramatically improved. 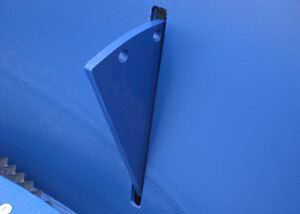 A popular option are powerful tub magnets fitted into the tub wall. 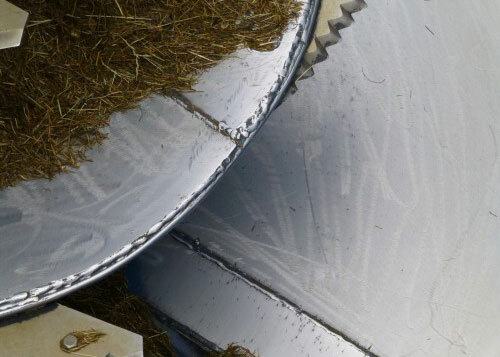 They are a useful aid to removing wire and small metal objects that can be harmful to cows. 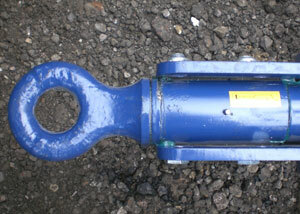 These can be fitted into new machines or older tub mixers as a retro-fit. 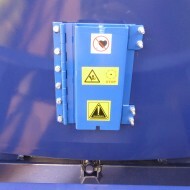 Please note that these are extremely powerful magnets and may affect those with a pacemaker or similar device. 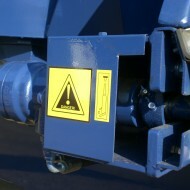 Mobile electronic devices should not be placed near to the magnets. 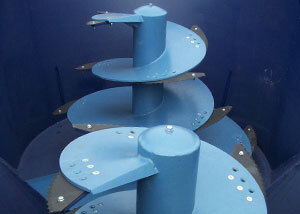 Single auger mixers are mounted on a single axle. 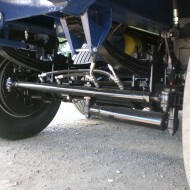 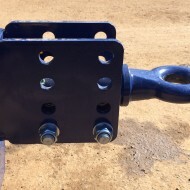 To make a lower machine, this axle can be mounted at the rear of the machine. 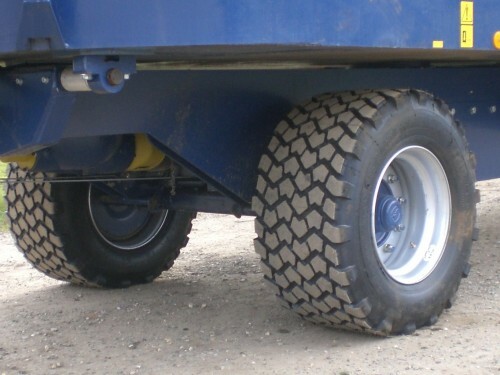 Twin auger mixers have commercial S-cam brakes (406×120) on all axles with a 19.5″ or larger tyre. 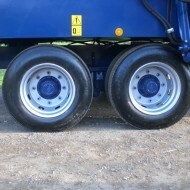 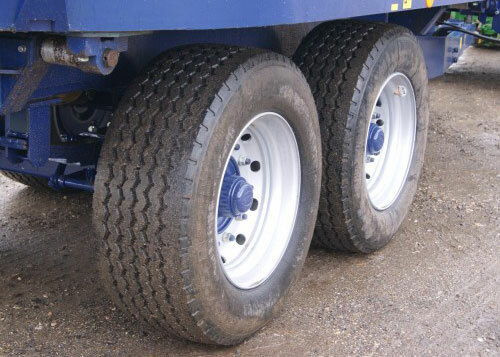 Mixers up to 21m3 come on a single braked axle as standard. 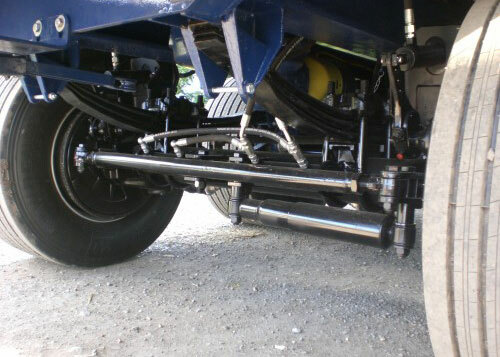 All twin auger models can come on a twin sprung axle or twin axle, rear steering system. 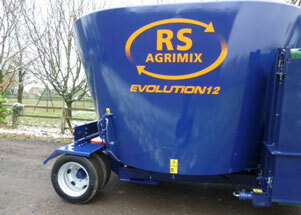 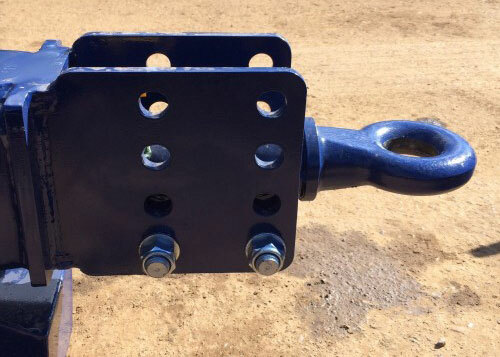 All triple auger mixers come as standard on a triple axle system with the front and rear axles steering. 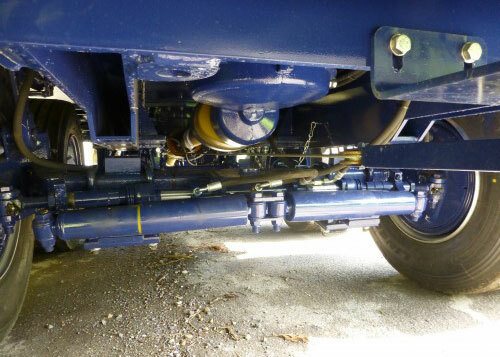 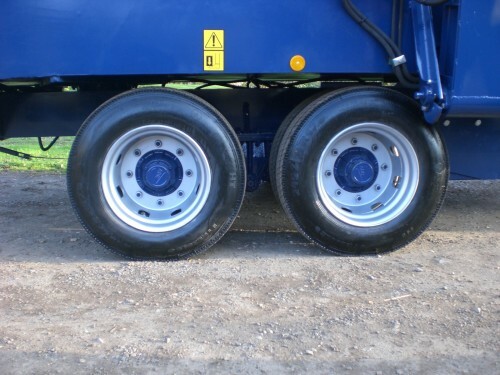 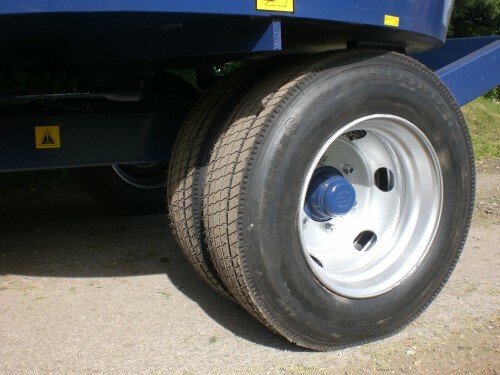 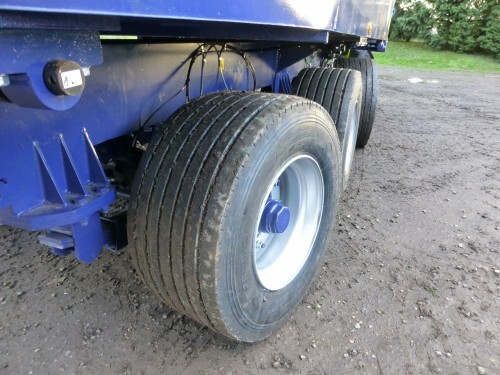 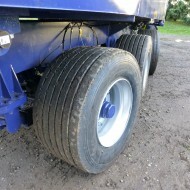 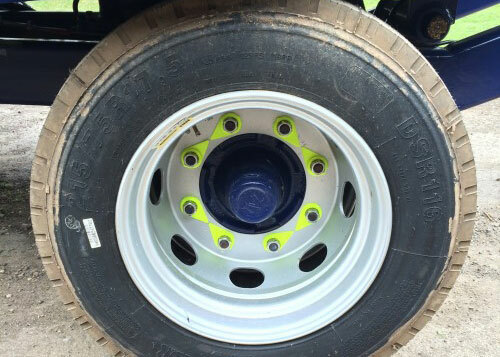 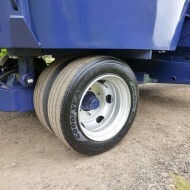 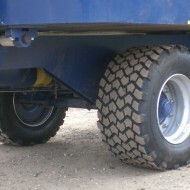 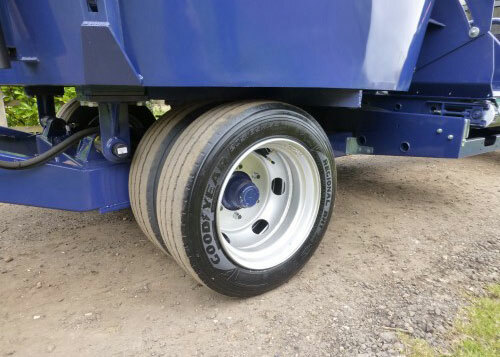 They have commercial S-cam brakes (406×120) on all axles with a 19.5″ or larger tyre. 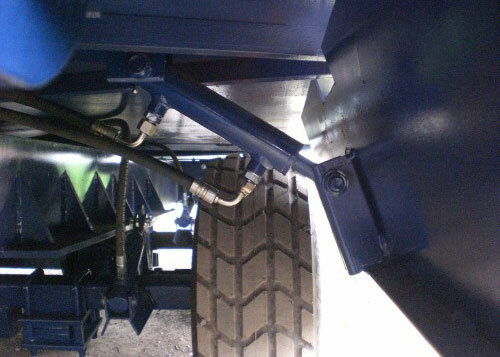 On twin and triple axle mixers there is an option for load sensing air-brakes. 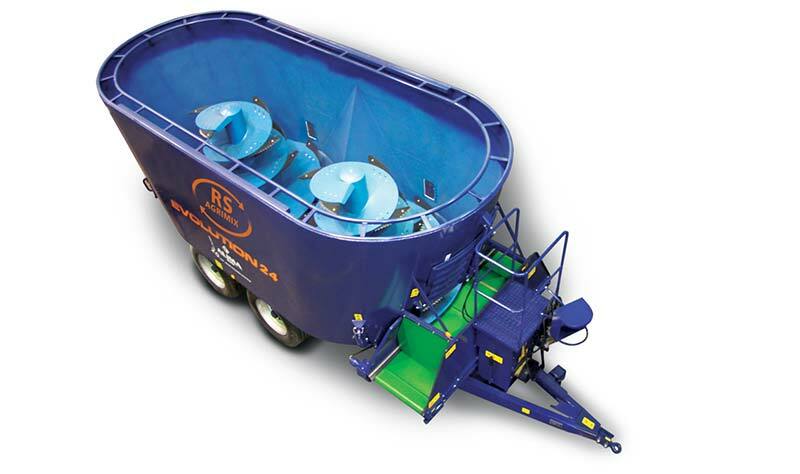 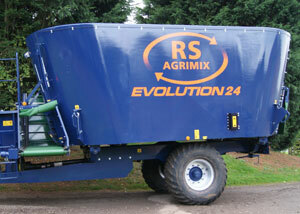 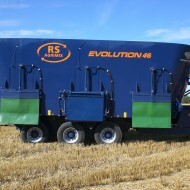 RS Agri mixers have as standard a 2.35m wide conveyor featuring external greaseable bearings and easy belt tracking. 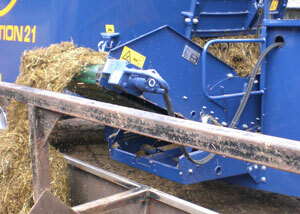 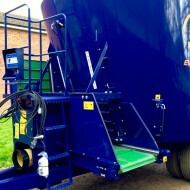 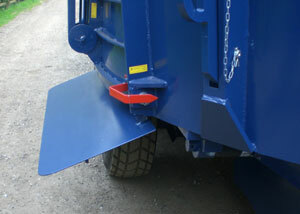 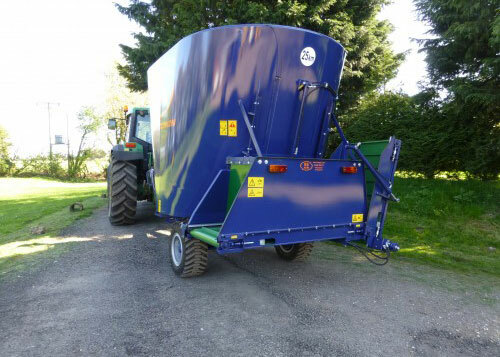 This can feed to the right or left side for on-floor delivery or low trough feeding. 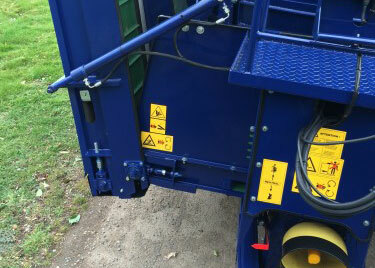 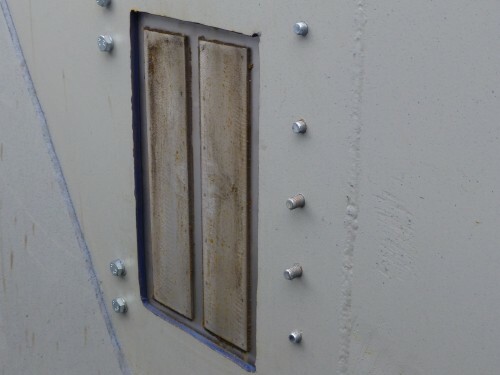 OPTIONS: For feeding into a higher trough or over a higher barrier, an elevator (0.7m to 1.7m long) on either the right or left side can be fitted. 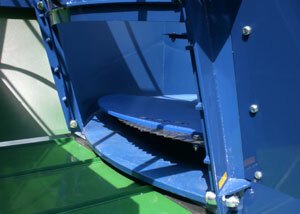 If there is a requirement for feeding to the rear a conveyor and/or elevator can be mounted. 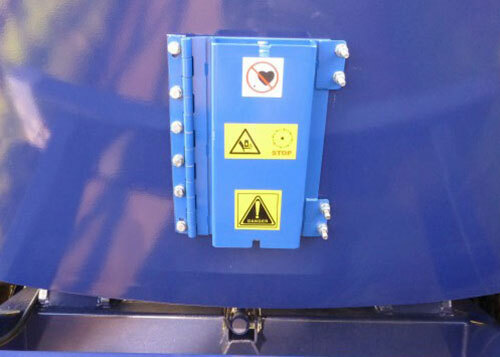 There is an electric shuttle box option that allows discharging to both sides of the conveyor simultaneously. 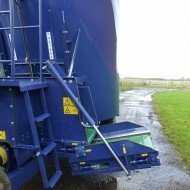 A folding elevator can be mounted on the side of the mixer for trough feeding. 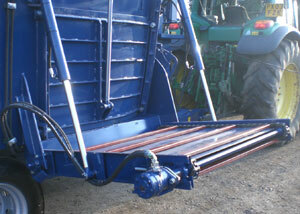 A sliding front mounted conveyor or a sliding conveyor under a side door can assist with feeding into wider troughs. 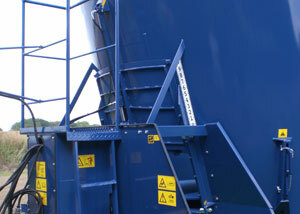 A Varilift conveyor offers the option of feeding various height troughs on both sides.